5월 14일자 구글 LatLong 블로그 소식입니다. 어제 올라온 구글어스 영상추가 관련 해답입니다. 그런데... 리스트를 쭉 보다가... 익숙한 곳을 발견했습니다. 맨 아래쪽에 "Updated Terrain", 즉 지형(DEM)데이터가 추가된 곳에 아일랜드 웨스트포트(Westport, Ireland)도 포함되어 있는데, 제가 오래 전에 "구글어스에서 가장 멋진 3차원 도시"라고 소개시켜드린 바로 그곳입니다. 그러면 당연히 뭐가 달라졌는지 가봐야겠죠? 직접 가보시려면 여기를 누르시면 됩니다. 근데... 허거덩~~ 그 예쁘던 3차원 모델이 모두 사라졌네요. 혹시 싶어서 다시 실행시켜 봤는데, 여전히 3차원 모델이 보이지 않습니다. 아마도 3차원 모델을 만든 AMT3D라는 회사와 라이센스 조건이 맞지 않아 내린 모양입니다. 아니라면, 지형 데이터를 갱신한 후, 이에 맞추어 3차원 모델을 다시 제작하느라 잠시 내렸을 수도 있구요. 하여튼 잠시 기분 좋으려다 말았네요. Hello again! 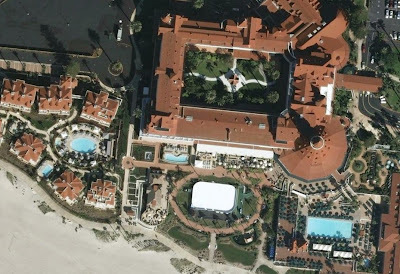 Today I'm happy to announce that the Google Earth data team has pushed out another imagery update. As always, here are some hints pointing you toward the new imagery. Stay tuned for the answers and a more complete listing of imagery updates. 1) This city is home to over 300 museums. Its flower is the bird of paradise and its tree is the coral tree. 2) An historic landmark, this all wood luxury hotel was built in 1888. 3) This city's namesake was the Governor of Tennessee. 4) Many believe the Greek King Ulysses founded this modern day capitol city. 5) Towering above many, this city is the 2nd highest capitol on its continent. 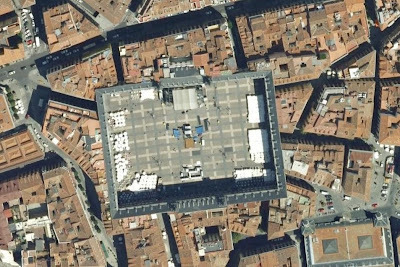 6) Considered the fashion capitol of the world, you can now visit this city with high-res imagery. 7) This is the city where Vegemite was invented and is now exclusively produced. 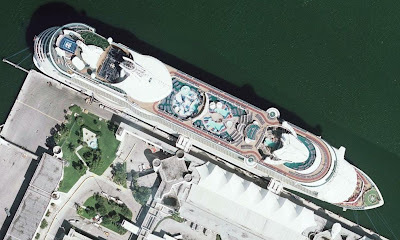 8) The cruise ship capitol of the world has gotten a fresh set of pixels. 9) The currency of this island is known as Manx. - USA: LA, San Diego, Houston, Miami, Chicago and Milwaukee area suburbs, New York City area suburbs, much of coastal New Jersey, and Harney County (Oregon).